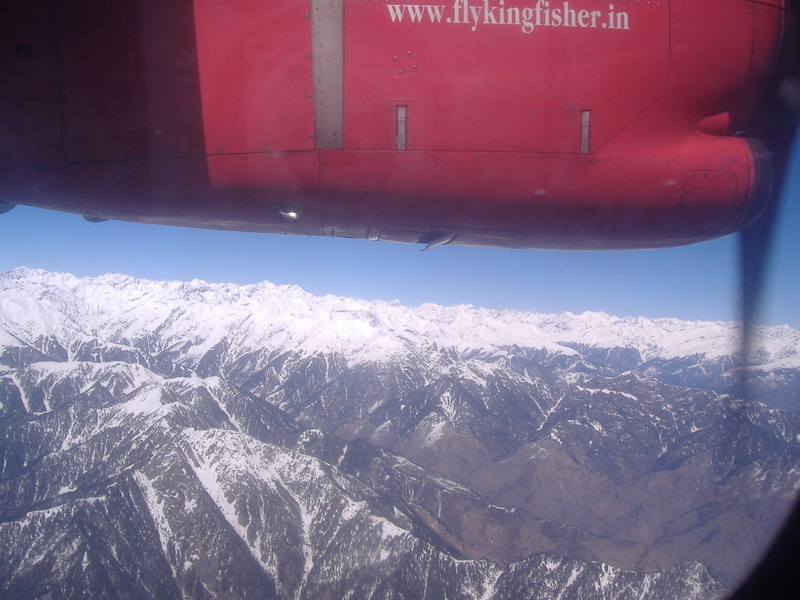 We arrived in Dharamsala on the Friday before His Holiness the 14th Dalai Lama was to speak on Monday and Tuesday. 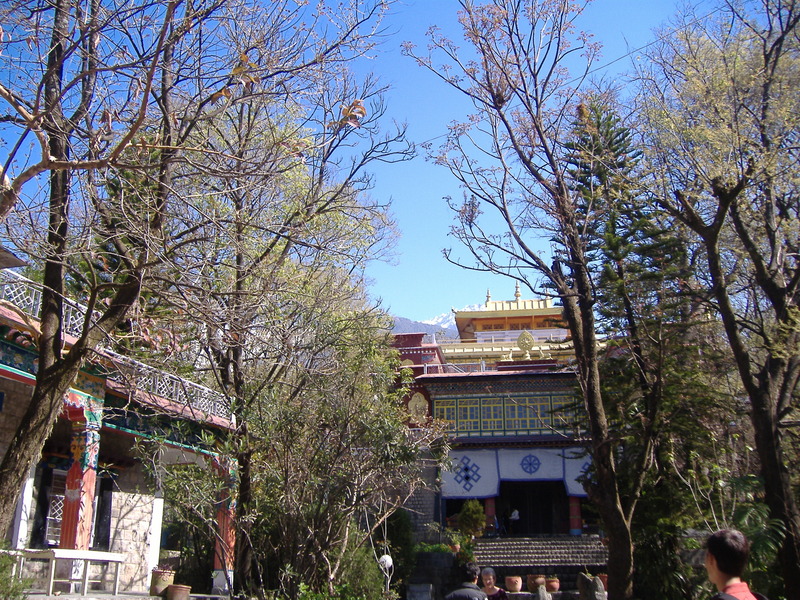 Hands down, McLeod Ganj (Upper Dharamsala) was my favourite place I visited in India. I could leave it at that, but that would be unfair to anyone who’s never been or not likely to visit. 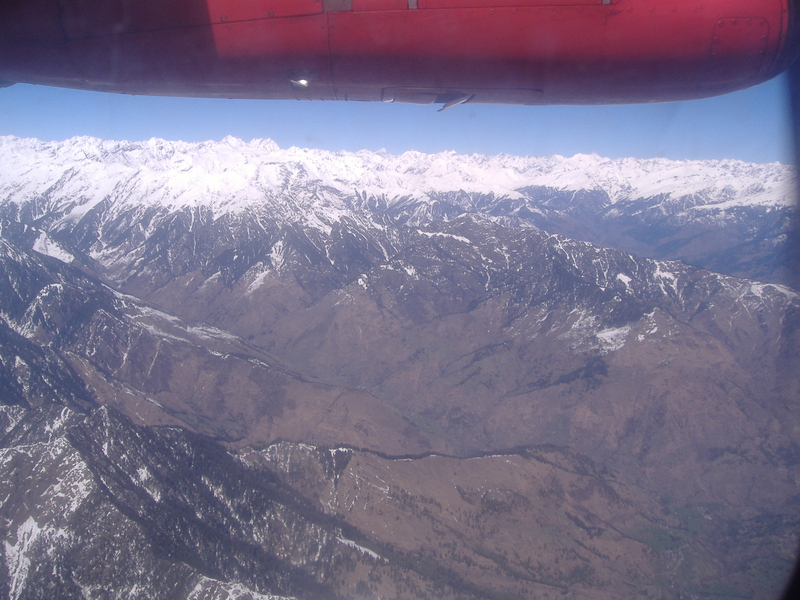 This is where the Dalai Lama and 80,000 Tibetans made home after they were exiled from Tibet in 1959/60. From what I heard from fellow travellers this town is now more ‘Tibetan’ than where they hail from given what the Chinese government have down to the original Tibet. It was the combination of a great hotel (we got lucky), the food, the delightful people and the buzz in McLeod Ganj which hummed louder the closer we arrived at Monday’s talk. To wake up each morning to the site of the sun on the snow capped Himalayas was very special and to see the stars as bright as they were at night, equally so. 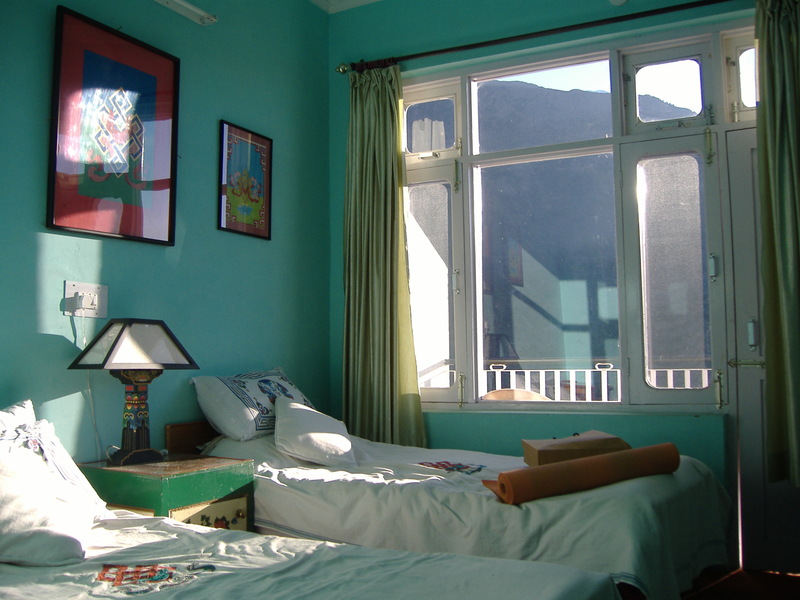 The hotel is called 8Auspicious Him View and each of the eight rooms has a theme. 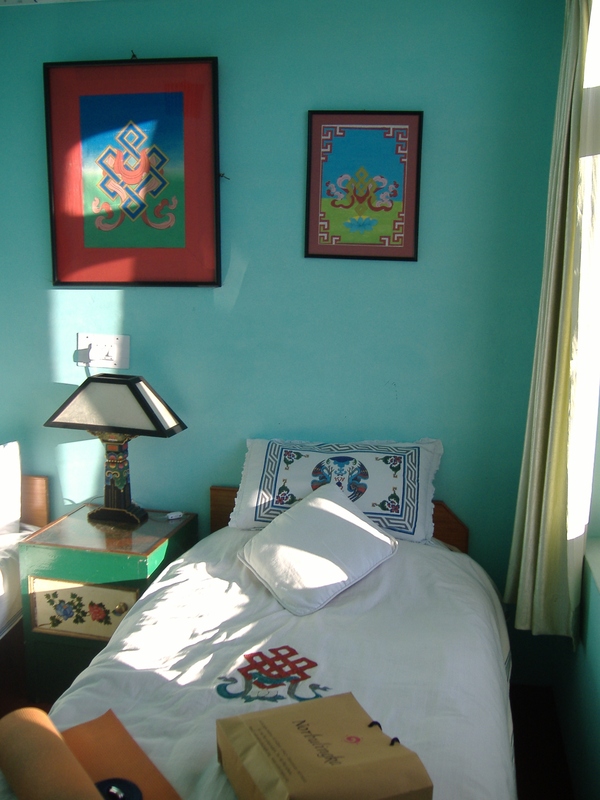 The one I stayed in was The Endless Knot, which symbolizes the union of wisdom and great compassion. I think the food at the hotel was much better than the Tibetan Kitchen (not bad at all) up the road too. One day I had Momo soup twice for lunch and dinner. Momo’s are (usually vegetable) dumplings, either steamed or fried and a real hall mark of Tibetan cuisine. Its run by a brother and sister team and on one day when we asked ‘was there any cake’ the lovely sister replied, “mmm, not at the moment, but give me an hour and I’ll make a carrot cake for you”. Needless to say, we went for a walk and made sure we were back in time for carrot cake. Actually I’ve had a need to make one ever since. 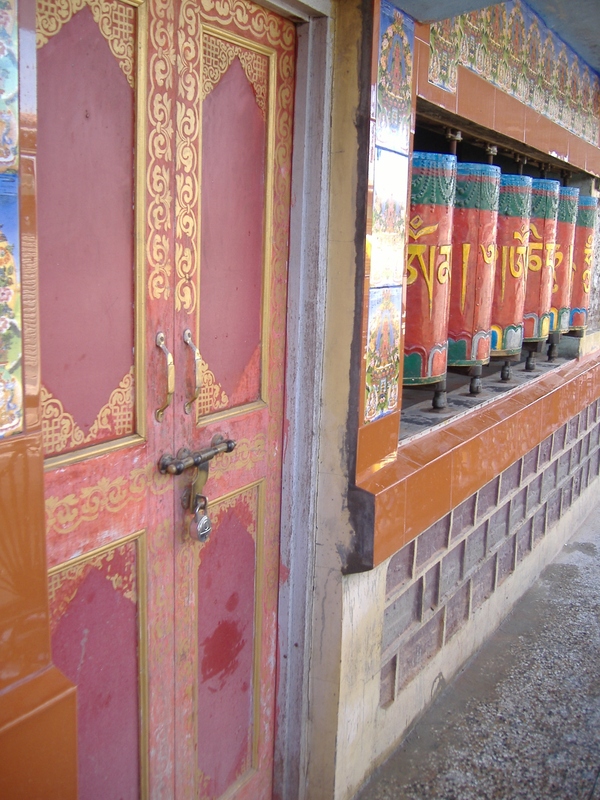 I recommend a trip to the <ahref=”http://www.norbulingka.org”>Norbulingka </a> institute which is the modern day ‘custodian’ of Tibetan art and crafts. 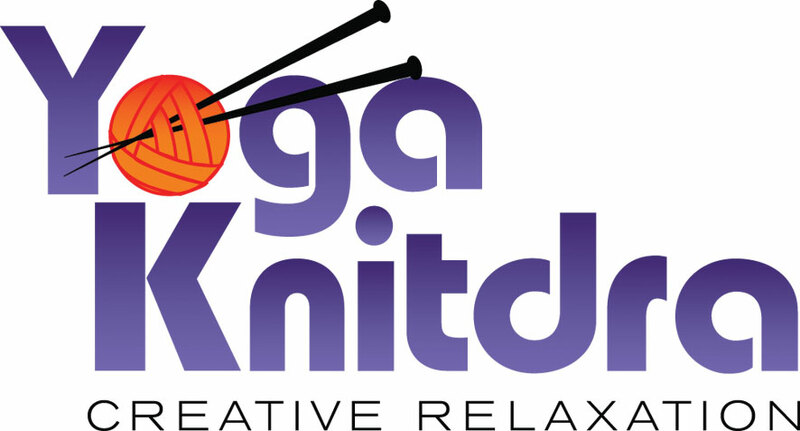 Just ensure you go on a day that isn’t a holiday to see the crafts people in full swing. everything from intricate dolls and their attire to silverware, silk clothing, painting, mandalas and thangkas or objet d’art that express Buddhist ideals. 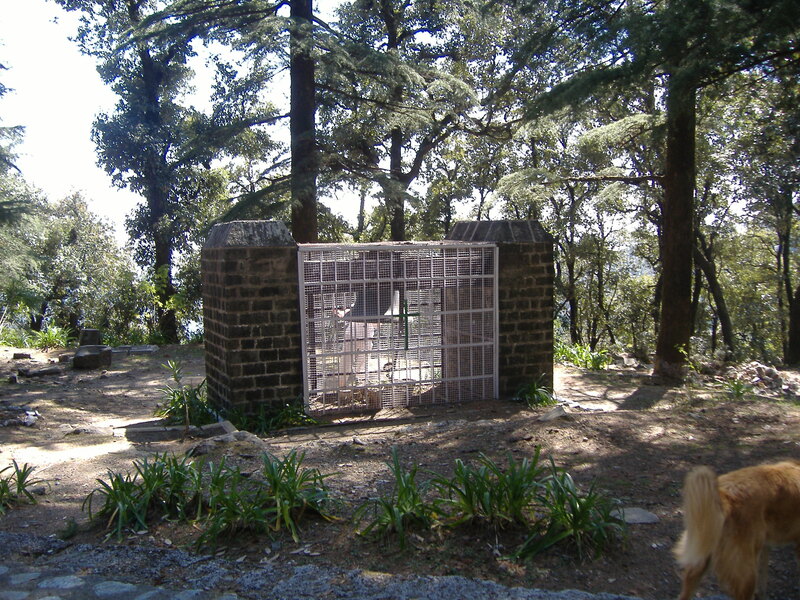 We also visited a church built during the time McLeod Ganj served as a British hill station. Not a remarkable church in itself, the bell in a caged block next to it was the most interesting part. After an earthquake in the area in 1905 (that saw the Brits vacate the area when over 10,000 people were killed), the bell was in need or replacing. I’m pretty sure many other things were too, but lets remember the era. So a new bell was shipped from London to Bombay (as it was called then), continued by train to Delhi and then as far north as the railway went, then carted by horse all the way up to McLeog Ganj. It was at this point the officer in charge realised they had no means of hoisting the very large and heavy bell into the bell tower, so it has remained on the ground 100m away from the steeple ever since. Draw your own conclusions, but I think whom ever was responsible for that piece of project management may have needed a new career. A few momo soups and lemon, honey, ginger teas later and we found out we needed to register to be at the temple on Monday morning to see the Dalai Lama even if we couldn’t stay for the whole talk and sit on the VIP floorspace beside him. So a quick dash around town with our completed form and 7 more passport photos I’d never use again later (a set of 8 cost less than $1.25), plus a transister radio to hear the translation and we were set. I’d visited the temple on Saturday and had spent plenty of time soaking up the atmosphere, complete with chanting monks in the temple. The artworks all around were spectacular and then of course there were the huge golden prayer wheels. 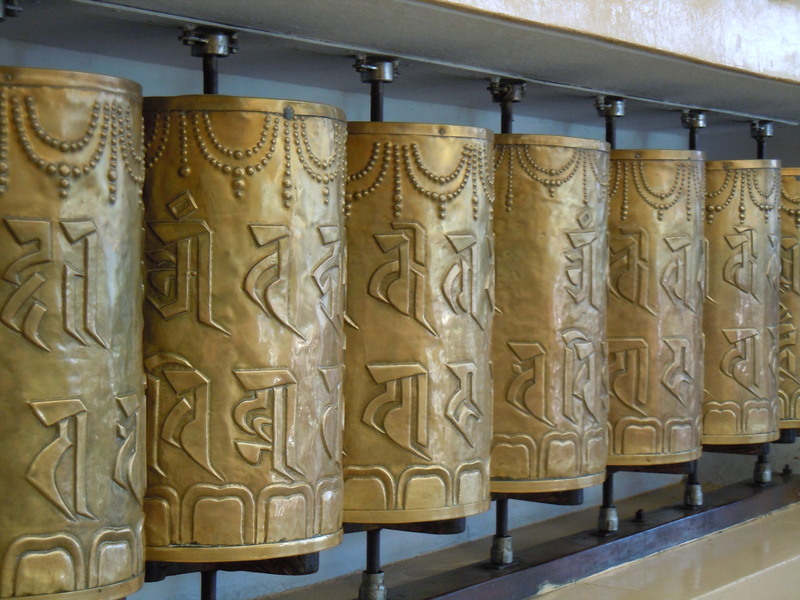 The intent being that you chant “Om mani padme hum” for each wheel as you rotate it clockwise for the 108 wheels that circle the main temple. 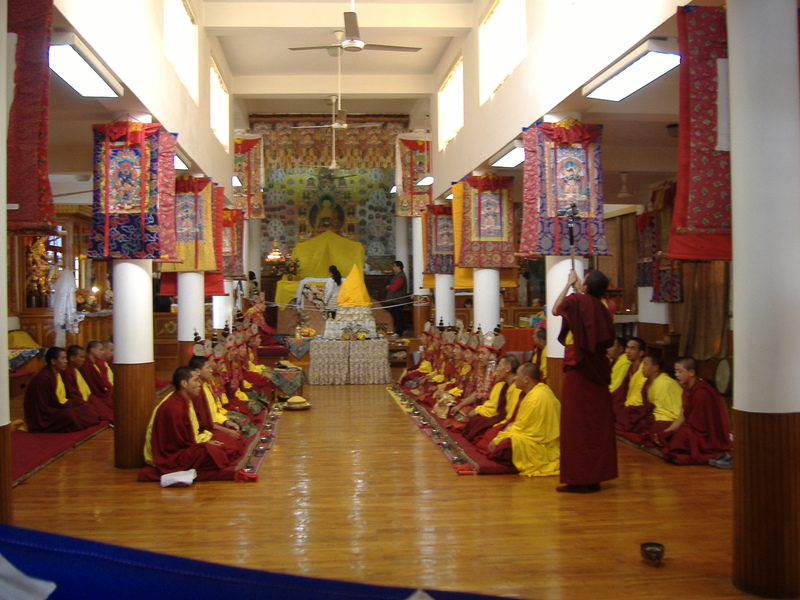 <a href=”http://www.dharma-haven.org/tibetan/meaning-of-om-mani-padme-hung.htm”>Om mani padme hum</a> has a complex meaning that goes beyond a phrase or few sentences, though in essence is about compassion. There is a slightly smaller version made with red prayer wheels in the centre of town. I love this mantra and it was a delight to spend the time chanting around both of them that day. The talk given by HH Dalai Lama can be found via this link. I was there on 14 March and the topic was onthe ’37 Practices of a Bodhisattva & Middling Stages of Meditation’ which goes for a couple of hours. There are also 2min sessions and Q&A pieces which are worth a listen. 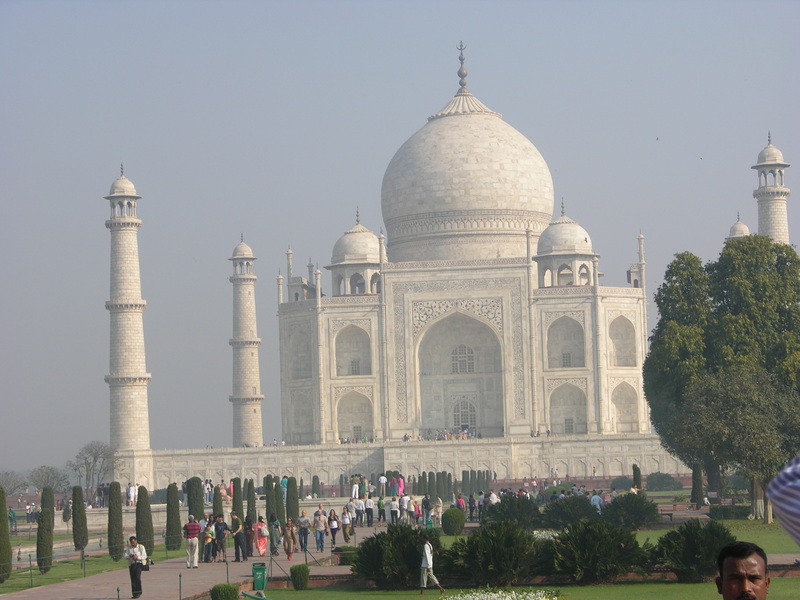 Then it was time to fly back to New Delhi for a quick overnight stop before heading to the Taj Mahal.